Camping Hobitsch is a campsite with 25 touring pitches. 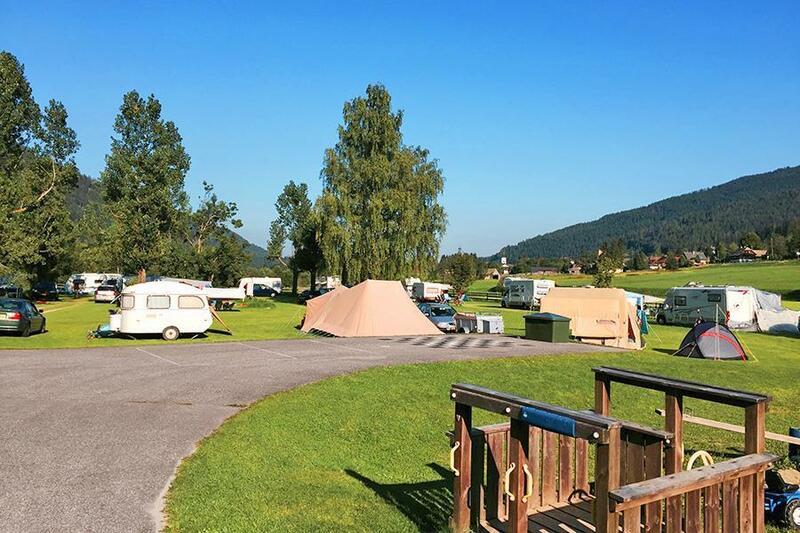 During low season, between 01-05-2019 - 14-06-2019 and 01-09-2019 - 29-09-2019, the nightly rate is €18,- at one of the 25 touring pitches at Camping Hobitsch in Gnesau (Carinthia). At this campsite you can not only use your CampingCard ACSI for inexpensive camping, you can also use your ACSI Club ID (as an alternative ID). High altitude camping meadow with wonderful mountain views. Sunny pitches. Sports facilities include a swimming pool, tennis courts and volleyball. You can go walking or mountain biking in the hills or stroll through the small tourist village of Gnesau. Would you like to book Camping Hobitsch or request more information? You can do both using the information below. A10 Salzburg-Villach, exit Spittal/Millstatter See direction Radenthein/Bad Kleinkircheim/Patergassen/Gnesau. Campsite located on the left just before Gnesau. CampingCard ACSI will send your information request to "Camping Hobitsch".